The weather is getting warmer so why not take this time to consider a summer kitchen renovation for your home? One of the best overall home renovation projects that can get you the most for your money, and totally updates the overall look and feel of the home, is a summer kitchen renovation. If your kitchen is cramped or outdated, it’s time to consider upgrading with a complete remodel. For such an important project, it is essential you find a renovation company you can trust. Titus Contracting is among the best in the business, exceeding clients’ expectations in Bloomington kitchen renovation for years. We have a few suggestions to help you make the most out of your kitchen. To start, if your kitchen is closed off, our kitchen renovation team could potentially take down a few walls to really open up the space. A bright and airy open floor plan is a popular trend in kitchen renovation and can offer you more space for entertaining, eat-in kitchen areas, and cooking. No one likes a cramped kitchen; after all, it is the gathering place in the home and should be welcoming and easy to navigate. Are there specific appliances or other features you want and need? What style are you going for: country, rustic, modern, contemporary or something else? We can help you organize your thoughts and ideas and help you pick the very best in kitchen appliances, countertops, flooring and more. Through kitchen renovation, you can even make your kitchen more environmentally friendly with LED lighting as well as energy and water saving appliances. When you embark on a kitchen renovation, the possibilities are endless! What do you need out of your new kitchen? Would you like to add an island for more counter space? Start looking at photos of beautiful kitchens view our stylish kitchen ideas. During your consultation with us, we will go over the details of your kitchen renovation. We will be sure we fully understand your preferences for new kitchen countertops, appliances, your goals, and your own personal style. 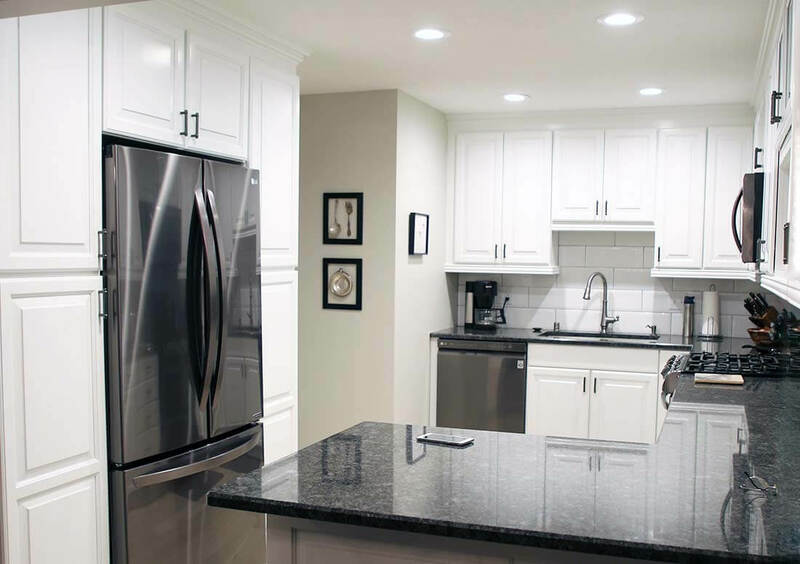 Do you want dark countertops and cabinetry, or do you prefer cabinets and counters in lighter shades? From rustic to mid-century to modern, we can do it all! Whether through commercial or residential remodeling, Titus Contracting Inc designs and builds beautiful kitchens. New designs, floors, cabinets, tile work, countertops, appliances, and trim work are some of the special features we use in our professional installations. You can see the quality and craftsmanship people have come to expect from Team Titus. Building excellence fueled by your dreams. As always we will work hard to stay within your budget and keep on schedule. Ready to gain your own personal summer kitchen renovation ideas for your home in the Bloomington area?